Trying to find a cute hairstyle for a special or formal occasion? From prom to weddings, there are many life events that require a fancy hairstyle. 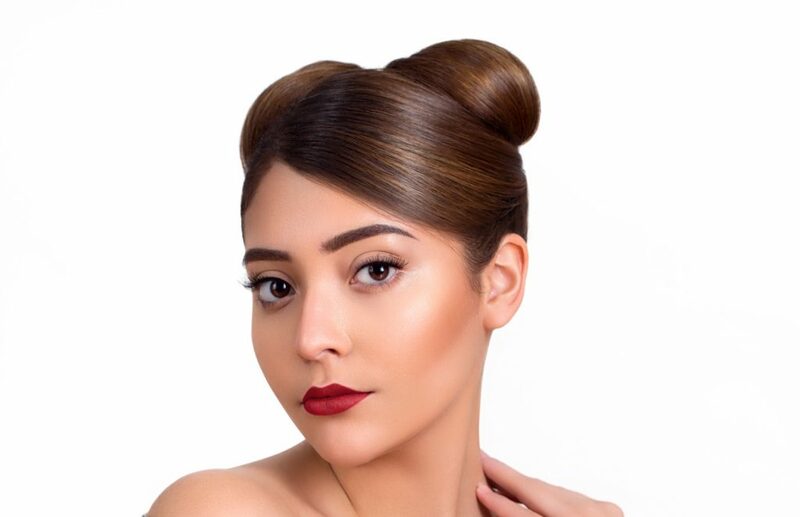 When you are obligated to go beyond the usual ponytail or messy bun, these special occasion hairstyles will get you looking gorgeous in no time. Today’s hairstyles for special occasions are no longer restricted to polished, hair-to-hair ‘dos. Since messy hair first appeared on the red carpet, formal hairstyles have got much more relaxed, but in the other hand you want to be sure to look fabulous in that special occasion and no woman in the world will refuse a sweet and a perfect memory. Because it requires a lot of detail, you probably will need some help for more intricate updos. In HEADLINERS UNISEX SALON we are professional’s hairstylists with years of experienced with a glamorous view from different angles and open and glad to help you achieve the greatest look ever in such an important day in your life. When it comes to hairstyles for weddings, proms, bat mitzvah, sweet sixteen, special events, and other occasions where a touch of elegance is required, updos are definitely the way to go. Updo hairstyles are great because of the number of variations, which can be done as well as the look that produced by adding updos to the perfect dress, makeup and style. Because of the many variations of updos, there are many possibilities for wedding hairstyles, prom hairstyles, and other special occasion hairstyles as well. Trying different updo hairstyles on different occasions require just some minor adjustments. However, updos are not easy hairstyles to achieve, they require some time as well as some good styling work to get just right. Nothing kills the look of an updo more than strands of hair sticking out in all directions or a hairstyle that comes undone at the worst time. Updos are great not only by providing a beautiful hairstyle but like other hairstyles, bring out facial features much more. With so much variety, there are plenty of hairstyles perfect with your dress, your shoes, and your look. Different kinds of updo hairstyles? For weddings, you can try those romantic updos hairstyle or the ingenious braided hairstyle, they will make you as gorgeous as a shining queen on such an important day. When you go on vacation to some gorgeous places, a romantic hairstyle will make your pictures much more fabulous. You can choose the most suited, according to different occasions and seasons. If you are dating with the guy you love or like, a sweet braided hairstyle or ponytail will add so much cuteness and charm to your look, they definitely are the best accessories for your sweet memories. • Scheduling a consultation and a try out with one our specialist in Headliners Unisex Salon. • Hair color done. Be sure that you have the perfect color, highlights or any color process according with what you want. It reflects the importance of an appointment with the hair stylist previously to the magic day. • Prep your hair. When it comes to styling an updo, day old hair will make it much easier to style (and keep) your hair in place. • Accessorize! Nothing makes an upstyle more complete then the use of hair accessories! Use sparkly pins, decorative clips, detailed headbands or any of the many options. • Do not be afraid to dress up your updo with jewelries and other accessories, especially if you’re outfit and the occasion call for it. The Headliners team wants to help you create the perfect look for your special day, just contact our Headliners Salon expert stylists who are always at your service, eager to give you your greatest look ever and make you a fabulously glamorous person in your special day. When it comes to customer care, for your own comfort and convenience, our dedicated professional stylists can offer you their services in place of your choice.